This darling necklace will be an instant hit for girls! 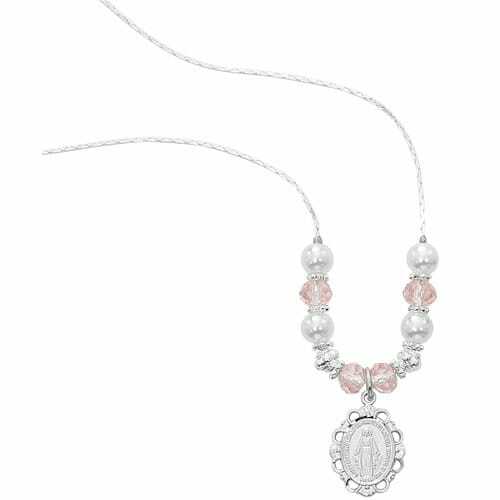 The scalloped edge Miraculous Medal, rose pink faceted crystals, and silvery pearls will remind her that to God and Our Lady, she is more precious than pearls. A sweet gift for First Communion or another special occasion.